Sometimes, you’re in the mood for a delicious Mexican taco, but you simply don’t have the time to prepare one from scratch. Just because you lack the motivation to cook doesn’t have to mean that you can’t enjoy a delicious taco with these Mexican slow cooker recipes! All you need is a slow cooker and a few minutes of time to prepare these set-and-go taco dishes that are sure to please. In less than thirty minutes, you can have this flavorful and unique potato taco filling cooking in your crock pot. Some cubed potatoes, garlic, chili flakes, and other basic ingredients are all you need. You’ll even have time to whip up some homemade mango avocado salsa. Yum! After six hours in the slow cooker, you’re ready to pile this filling onto a flour tortilla for a delicious meal. Recipe. For an Indian take on taco night, this slow cooker Indian taco recipe is perfect. This dish is not only flavorful, but surprisingly good for you as well! Packed with fiber and nutrients, this is a dish you can feel good about feeding your family (while saving yourself some time in the kitchen as well). Recipe. You heard us right; this Thai version of your traditional taco has plenty of bold flavor that’s not for the faint of heart. Some diced chicken breast, a generous helping of curry paste, fresh lime juice, and other bold flavors permeate this dish. The best part? It takes just 20 minutes to prepare before you head out for work in the morning. By the time you come home, it’s hot and ready to serve! Recipe. If you’re really in a hurry to get dinner going, this is your go-to taco dish. With just 10-15 minutes required for prep, this recipe will have you setting it and forgetting it in no time. Just don’t forget about it for longer than six hours, which is exactly how long this dish needs to cook. With flavors of cilantro, lime, and a little kick of sriracha, this dish boasts a medley of flavors that you’re sure to love. And it’s perfect for entertaining large parties! Recipe. Pork and pineapple together? You’d better believe it. Don’t just take our word for it, though. 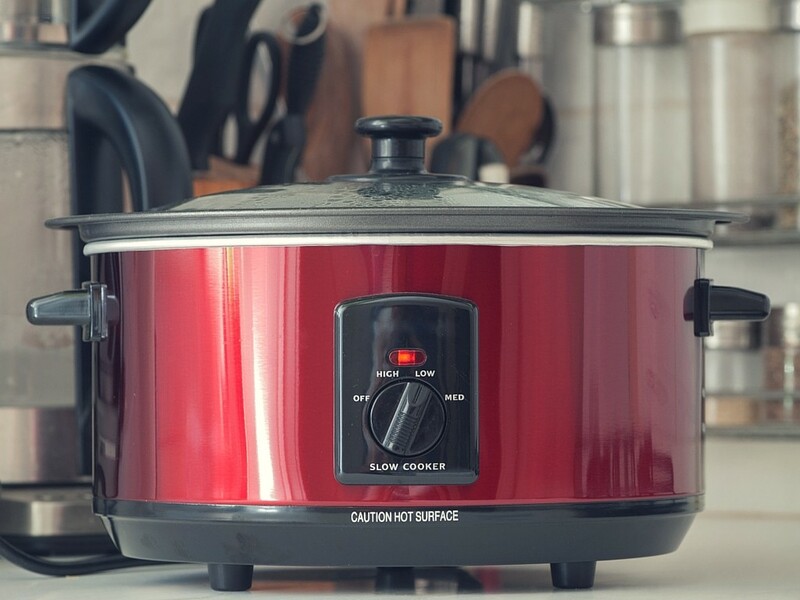 You have to try this oh-so-simple but flavorful crockpot dish for yourself. Pork shoulder, pineapple salsa, and a little bit of seasoning really go a long way in this recipe. Garnish with fresh chopped cilantro leaves and lime wedges for presentation that looks almost as good as these tacos taste! This is sure to become a new favorite in your busy-day dinner rotation. Recipe. When you’re short on time but don’t want to sacrifice on flavor, any of these slow cooker taco recipes are sure to please. Whether you’re in the mood for something sweet, spicy, or a little bit of both, you’ve got plenty of options to choose from here. Now, which recipe will you try out on your next busy night?